Scroll down to browse different styles and available products. Host a home jewelry party and get a free item of your choice! 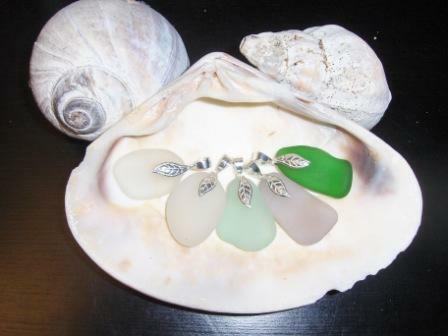 These pendants show off the natural hues of sea glass. There are great variations even within the range of whites. 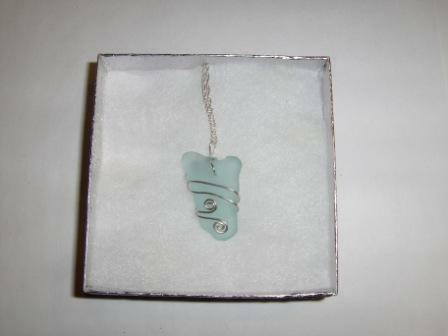 This one of a kind sterling silver sea glass charm bracelet has been inspired by the waves of the ocean. The colors are natural and uniquely assembled for each: they can include deep sea colors, or pastels of sea foam, even purple. Each piece is one of a kind. Please specify color theme. This necklace can be created in different ways, two of which are featured here. The number of glass can represent the number of children you have. 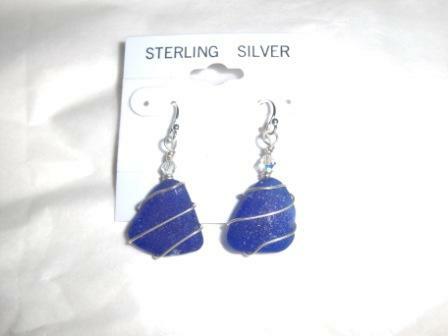 A similar one can be reproduced to your specifications and I can usually match them with earrings. 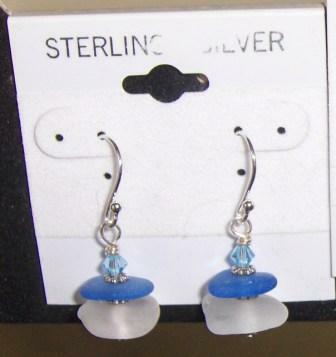 There are so many fun ways to creating an earring! See if there is a style that clicks with you! This bracelet reflects the riches of the Sea, abundant in life and treasures. 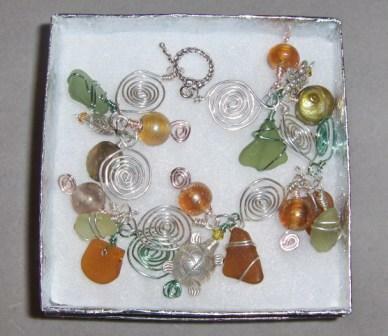 Created with attention to great detail in sterling silver and copper wires, fresh water pearls, natural and Swarovski crystals, manmade glass beads and hues of sea glass, it features sterling silver beads of shells, sea stars and turtles. This is my most recent design. I use a 20 -22" long necklace, so the pendant hangs below one's chest. 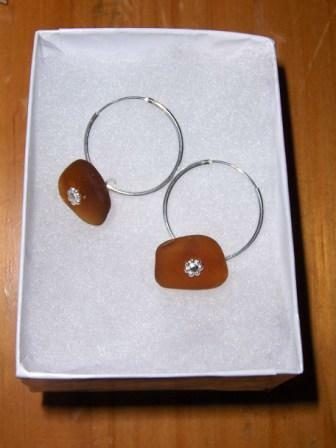 You can have a choice of different earrings to match the stones, this is one example. 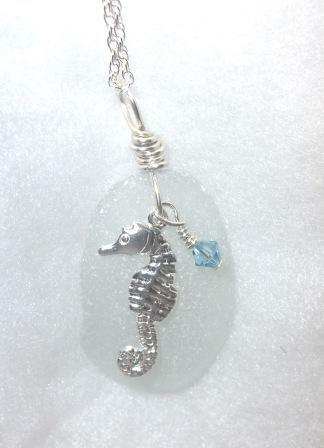 Spiritual necklaces with angels, sea horses, dolphins, sea stars and more! 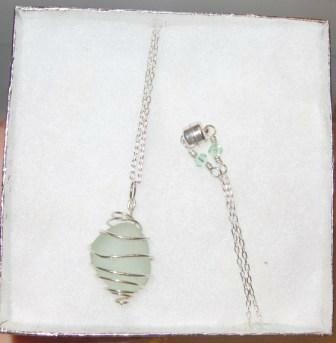 Simple necklaces are available in many colors, shapes and sizes. Pearls, Swarovski crystals, a silver connector and charms adorn this necklace on an 18" sterling silver chain. Can be lengthened or shortened upon request. Matching earrings sold separately. Swarowski crystals adorn this sterling silver piece. 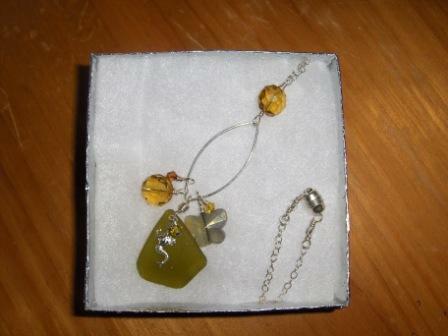 A wonderful addition to the Cape Cod Beach Necklace. A small, yet memorable gift, the sea glass bookmark is offered in sterling silver plated and copper colors. Makes a great teacher gift to accompany a book! Get five for $25. 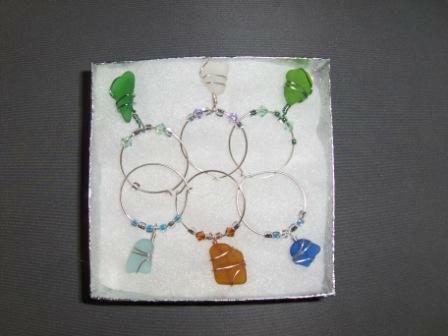 Set of 6 sterling silver wine glass charms in a box makes a great gift. I have created hundreds of necklaces, earrings and bracelets in the past year. Most of what you see on the left has sold, but can be recreated. I have a fairly large collection of sea glass that I replenish daily during my walks. 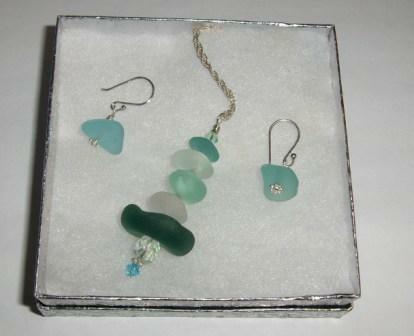 Copyright 2010 Cape Cod Sea Glass Jewelry. All rights reserved.